The AEP team was thrilled to head to Orlando again for Cox‘s Sales & Content Leadership Conference. 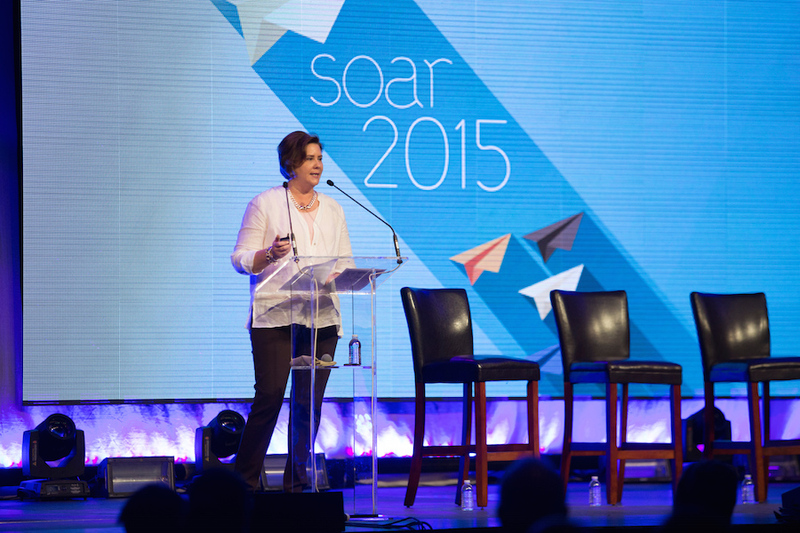 CMG SOAR 2015 marked their third cross-functional event bringing together Technology, Content, Sales, Finance and HR leaders. 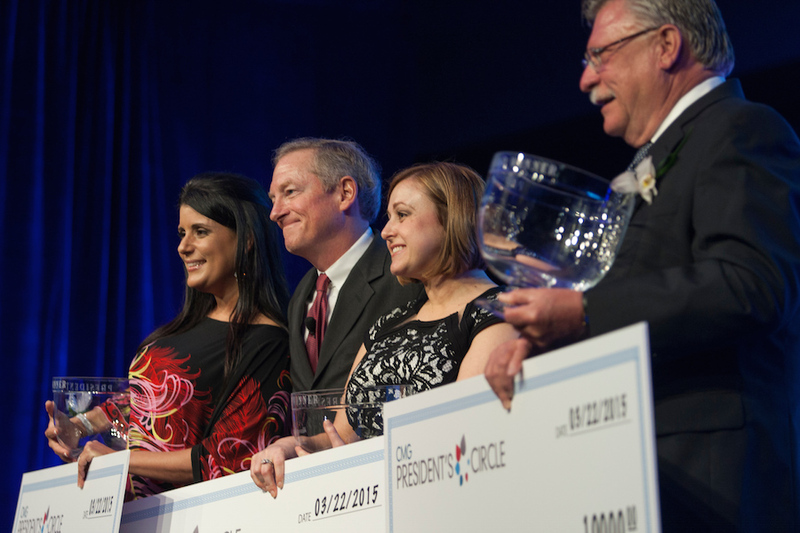 One of the highlights of the conference kick-off was the President’s Circle reception for high achievers. In addition to some very happy winners, the enthusiastic crowd was clearly thrilled to be there. Between keynotes and breakout sessions, the Cox team was busy with an agenda chock full of Sales and Content learning opportunities, plus receptions and networking events. There was so much going on that I was thankful to have Lyndsey’s help with shooting. We also spent a beautiful evening at the hotel’s farm, where the Cox team enjoyed a farm-to-fork experience. The setting was so gorgeous that we could fill a post with just shots from that evening. 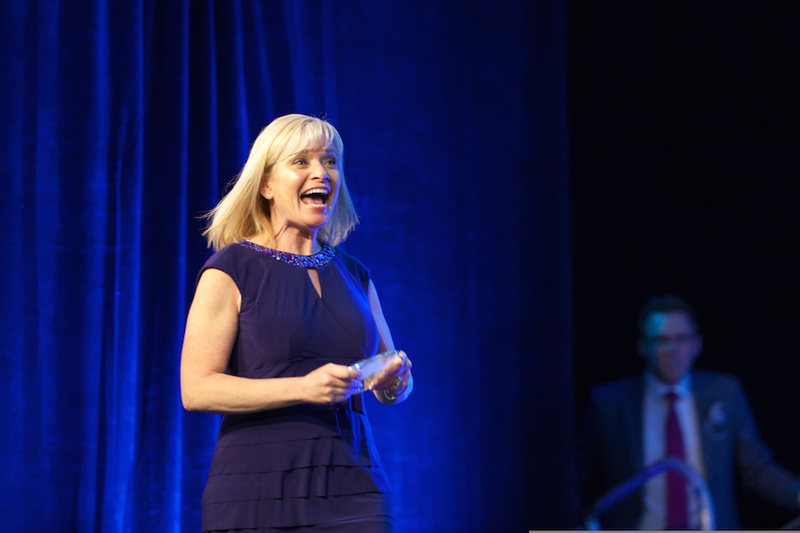 Thank you to Kristy Vinot at Cox for including us on the team supporting this event. We value our partnership and appreciate your business! What happens when some of the country’s most influential designers meet up with the hottest design bloggers? Creative sparks fly, inspiration flows and friendships are newly formed and reignited. We had the pleasure of capturing all of this first-hand from behind the camera at the fifth annual Design Bloggers Conference in Atlanta. This was our second year on the scene and it provided as vibrant a feast for the eyes as last year’s event. Bjork Studio was the incredibly cool site for the Sunbrella and Traditional Home kick off party. Guests experienced vignettes designed by Brian Patrick Flynn, Alex Gaston and Drew McGukin showcasing Sunbrella fabrics in a variety of looks. The event was catered by Proof of the Pudding, which is known for specializing in fresh, local, farm-to-fork fare. They served up a ‘stylish minis’ bite bar that was a big hit. We were also thrilled to cover a fabulous VIP-only event sponsored by Ethan Allen at the chic KR SteakBar. The conversation was lively, the cocktails were flowing and guests raved about the meal! It’s always fulfilling when we work on an annual event like the Design Blogger conference and we’re asked to return for the following year. Thank you, Sara Rossi, for inviting us to support Meredith Corporation on this again! If you’re an aficionado of planes or aviation history, Delta Flight Museum is worth a visit. We had the opportunity to experience it while covering Delta Community Credit Union‘s Client Appreciation Event for more than 100 retirement and investment services clients. What a great night! A warm welcome was given by [abc], DCC’s [insert title]. Guests enjoyed the casino tables as well as checking out the exhibits and models. The Spirit of Delta, a Boeing 767 that actively flew for 23 years, was on exhibit in the middle of the festivities. This is the only Delta plane that was actually funded by the company’s own employees; three flight attendants led the campaign to collect donations from colleagues, retirees and friends totalling $30 million! The plane was nicknamed to honor the spirit behind the inspiring effort. In addition to the casino fun, guests enjoyed delicious hors d’oeuvres and dinner catered by William Neal at Affairs To Remember. DCCU knows how to throw a party and, as always, we’re honored to be included. It’s a not-for-profit, financial cooperative that began by serving specifically Delta Airlines employees. Once the organization decided to expand its services to the entire community, DCCU grew to become Georgia’s largest credit union. We love that they celebrate their loyal clients, and that they invest generously in non-profit partners like Bloom children’s shelter, Children’s Healthcare of Atlanta, The Community School of Decatur and the Cobb Schools Foundation. Special thanks to Julie Bates at Delta Community Credit Union for working with us on this event! Gas South recently hosted the Metropolitan Atlanta Mayors Association Night at the Ringling Bros. and Barnum & Bailey’s Circus at Philips Arena and Gwinnett Center. We were thrilled to have the opportunity to cover the event again this year, especially the Magical Journey pre-show where the children get to interact with the animals and performers right on the arena floor. This marked the sixth year Gas South has hosted this wonderful event that is dedicated to families with special needs. Thanks to them and their community partners, admission for the families is free. The joy and excitement the kids displayed at the circus made for pure magic. Nine-year-old Vy had the chance to hang out with clown Andrew Hicks in the center ring, all while an aerial performer hung high above. He wasn’t the only one enthralled by the aerialists. Getting better than front row seats, Jack watches as his son, Dylan, is glued to the ariel performance on the main circus floor at Philips Arena. Abby was thrilled to join the clowns and performers on the dance floor during the pre-show event. Six-year-old Natalie was all smiles as she watched the lions and dug into her chocolate covered ice cream. Okiki found just as much to smile about as clowns juggled and aerial performers entertained in the center ring. Along with the Metropolitan Atlanta Mayors Association, Gas South worked with community partners like the Georgia Municipal Association and Feld Entertainment to take these special families to the circus and to ensure that they had the support to fully enjoy it. Sign language interpreters were on hand throughout the event, and the pre-show was loaded with tactile and sound experiences for visually impaired kids. The seating was configured to accommodate wheelchairs and other mobility devices. This was all provided at no charge to the families. Many thanks to Caitlin Crowley at FleishmanHillard for allowing us to be part of this event! We’re longing for warm outdoor shoots and green landscapes. Until we can shed the coats, I hope a look at some of the best farm-to-table restaurants in Atlanta–and the vibrant shots we took of them in much warmer weather–will help those fresh summer vegetables and patio dining feel more within reach! Our roundup includes eateries that are on a mission to improve our food and how we treat animals, and to source local, seasonal food because it simply tastes better. Eating fresher and supporting the local economy and environment while we’re at it is now downright easy in Atlanta…and we think that’s something to celebrate. Kimball House in Decatur combines fine dining with a deep respect for fresh, seasonal, locally sourced food and the farms that provide it. The result is a daily-changing farm to table menu with unusual French panache. The owners passion for preservation and old fashioned hospitality comes through in the unique building, too: A former railroad station rehabilitated in the style of the Kimball House Hotel that once graced downtown Atlanta. The restaurant’s many accolades include being named one of Southern Living‘s Best New Restaurants last year. At Empire State South on Peachtree, Hugh Acheson from Top Chef leads the culinary team in redefining Southern food as something much more–and much healthier–than the stereotypical fried chicken and barbecue. He believes in taking advantage of the agrarian landscape around us, and it shows in the breakfast, lunch and dinner menus that draw heavily from Georgia farms and feature local yogurts and cheeses. ESS’s recipes have been printed in many national magazines and Acheson’s own veggie-centric cookbook, A New Turn in the South: Southern Flavors Reinvented for Your Kitchen, has gotten lots of great press. The atmosphere at King + Duke in Buckhead is defined by a unique hearth, which also drives the menu: Locally sourced, seasonal ingredients cooked over an open fire. This direct-heat cooking is combined with sustainable, organic advocacy that extends to responsible butchering. And…Chef EJ Hodgkinson is now offering complimentary hushpuppies with housemade chili jam and aioli at the bar from 3 – 6 p.m. if you order a cocktail or glass of wine. Sweet! I’ve grouped these because Farm Burger and YEAH! BURGER are among a growing number of area restaurants that are on a mission to show people you don’t need a fine dining budget to enjoy locally sourced, healthy food. They’re committed to improving fast food by sourcing from humane farmers who engage in sustainable, environmentally friendly practices (no harmful chemicals, no heavy processing). Farm Burger takes “local” seriously with all-natural buns, hormone-free cattle raised on Southeastern sweet grass and goat cheese from Georgia’s Decimal Place Farm. You can check out Farm Burger in either Dunwoody or Decatur; YEAH! BURGER has both West Midtown and ‎Virginia-Highland locations. Thanks to the AJC for giving us the chance to learn about all of these great spots while shooting for their Living Intown magazine!